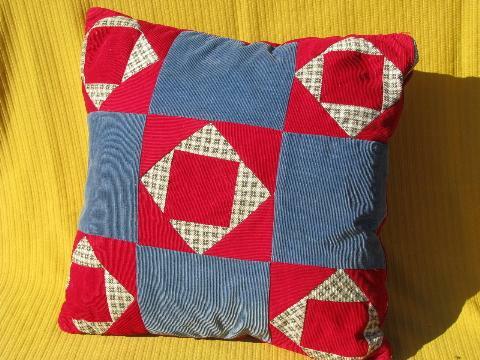 Vintage cotton 'quilt block' pattern pillow cover with foam filled pillow insert, measures about 15" x 16". 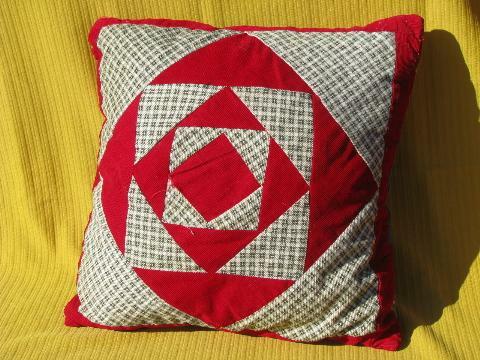 It's perfect for your favorite chair or rocker, or the porch swing! It's patterned front and back.